EAVE receives EFA Award in Seville! 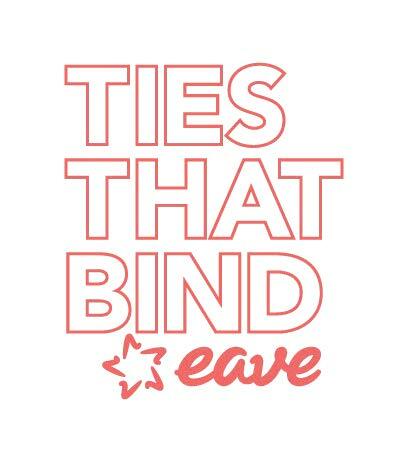 Apply now for TIES THAT BIND 2019! It`s a wrap for PUENTES in Montevideo! The French CNC supports the participation of 5 international producers at the EAVE Producers Workshop, namely Realness alumni Jorge Cohen (Angola) , Claudia Calvino (Cuba), Ayman El Amir (Egypt), Jessica Khoury (Lebanon) and Myriam Sassine (Lebanon). Thanks to German regional fund MDM, two producers from the Balkan region will develop their projects and skills at the EAVE 2019 course: Diana Paroiu from Romania and Tibor Keser from Croatia (selected at CineLink). The scholarship provided by the Polish Film Institute was granted to Agniezska Dziedzic, selected at the Polish Days in Wroclaw in the framework of the New Horizons Film Festival. PACT and EAVE are jointly offering a scholarship to one UK producer (Geoff Arbourne) in the name and memory of EAVE expert Dorothy Viljoen. Thanks to our collaboration with Doha Film Institute, Aisha Al-Jaidah (Qatar) was selected at the DFI Producers Lab and received a joint scholarship of the Doha Film Institute and EAVE. The scholarship provided by the Friuli Venezia Giulia was granted to Dragana Jovovic (Serbia), selected at When East Meets West. Thanks to a new partnership, Telefilm Canada has made it possible for one Canadian producer (Kaleena Kiff) to attend the programme. Film Fund Luxembourg is offering a scholarship for Ogechukwu Obasi from Nigeria to join the programme, selected from Ouaga Lab. In addition to those, a number of scholarships have been allocated by EAVE, in priority to participants from European low production capacity countries. We wish everyone a happy and peaceful New Year. We thank our partners, decision makers, experts and pedagogical team. We look forward to another inspiring year together. The EAVE office is closed from December 21, 2018 - January 4, 2019! Your EAVE team will be back on January 7, 2019. The 3 sessions of the EAVE 2019 Producers Workshop will take place in Luxembourg (March 8-15), Novi Sad/Serbia (June 20-27) and Leipzig/Germany (October 28 – November 4). THE WHOLE-TIMERS by Poojang Gurung and Bibhusan Basnet, producer: EAVE graduate Stienette Bosklopper receives support from the Netherlands Film Fund (NFF) and the Hubert Bals Fund (HBF). Produced by Les Films du Tambour and Circe Films THE WHOLE-TIMERS is set during the Nepalese Civil War, which raged between 1996 and 2006. The conflict is seen through the eyes of 13-year-old Guran, who, as a member of the Maoist Communist Party of Nepal, is opposed to the Nepalese government. Instead of guns, he develops a fascination for the cameras carried by soldiers to document the war. The film took part in the Atelier du Cinéfondation, the Jerusalem International Film Lab and received HBF Script and Project Development support. ADMIN by Olmo Omerzu, producer: EAVE graduate Jiri Konecny has been supported by the Czech Film Fund. In his new film Omerzu aims to explore the dark side of the virtual world and its influence on a family. GHOSTDANCE by Stéphane Hueber-Blies and Nicolas Blies, producer: EAVE graduate Marion Guth is in development. The transmedia project comprises a 90-minute animated feature intended for both theatrical and television release, a digital documentary series, and a citizen platform. Each component has been conceived as a tool for civic and creative resistance against the worldwide phenomenon of femicide, with the main purpose being to raise awareness and educate viewers about gender equality. In particular, the documentary series will consist of six episodes, filmed at different locations on several continents, such as Russia, South Africa and Argentina. For these episodes, the producers will cooperate closely with local filmmakers, activists, musicians and choreographers who are committed to making the public more aware of the project's themes. The project as a whole is supported by the Film Fund Luxembourg and the CNC. Produced by Marion Guth and François Le Gall for a_BAHN, Stephan Roelants for Mélusine Productions, Terre Innue (Canada) and Urbania Media (Canada). GHOSTDANCE will be released in 2020. The Hellenic Broadcasting Corporation supports EAVE and TTB project HOLY EMY by Araceli Lemos, producer: EAVE graduate Konstantinos Vassilaros. The film tells the story of two second-generation Filipino sisters, set within the catholic charismatic church of the Filipino community of Piraeus, Greece. The Greek, French, Bulgarian production by Mathieu Bompoint (Mezzanine Films), Veselka Kiryakova (Red Carpet Films), associate producer: Giulia Caruso (Nonetheless) and Elina Psykou received development support by the Greek Film Center, SEE CINEMA NETWORK, and production funding from the CNC-GFC aide à la coproduction d’œvres cinématographiques franco-grecques. The project was awarded at the 2017 CineLink Industry Days (Sarajevo Film Festival) with its 2nd development prize, and received an EAVE participation scholarship for it's main producer Konstantinos Vassilaros. The Finnish Film Foundation is funding three feature films, seven documentary films, three TV series and one short documentary film - including three Finnish minority co-productions. PATCHWORK by Petros Charalambous, producer: EAVE graduate Marios Piperides is in financing stage. The film’s story, set in a patriarchal society, is the drama of a young mother troubled by her ambiguous feelings about motherhood and the broken relationship with her own mother. Funding comes from the Cyprus Ministry of Education and Culture for production, and development funding from the SEE Cinema Network. The project which was presented at the pitching forum Connection Cottbus, has a Greek co-producer attached, Boo Productions, and is awaiting funding results from the Greek fund and ERT. TTB project MOTEL ACACIA by TTB graduate Bradley Liew, producers: TTB graduate and group leader Bianca Balbuena and TTB graduate Jeremy Chua, co-producers: by EAVE graduates Bostjan Virc and Sinisa Juricic is set to start principle photography at the end of November in the Philippines and Slovenia. Further co-production companies are Black Sheep (Philippines), Mandarin Vision (Taiwan), White Light Post (Thailand) and Tier Pictures (Singapore). Set in a fictional snowy United States, the film is about a young Filipino man who is groomed by his tyrannical Caucasian Father to take over Motel Acacia which is tasked with exterminating immigrants by the government through a bed, haunted with the spirit of a Filipino tree demon, that eats men and impregnates women. MOTEL ACACIA has been developed under Jerusalem Film Lab with script doctor Clare Downs, EAVE Ties That Bind, Talents Tokyo, and has been presented at BiFan’s NAFF IT Project and the Berlinale Co-Production Market. It was also awarded the Talents Tokyo Next Masters development fund. Since October, the film has also a North American representation through XYZ Films. NÖ by Dietrich Brüggemann, producer: EAVE graduate Martin Heisler is in production. According to Brüggemann, “NÖ is a film about love, about our pursuit of it and our incapability to live it fully when it’s there. It’s a film about the passage of time and about people who are in their thirties, people who have a lot, who attempt a lot, and who still often fail. It is also a film about something that cinema does particularly well: portraying emotional states.” The story follows Dina, an actress, and Michael, a doctor, as they try to hold on to their love over the course of several years. The task turns out to be a tough one as, over time, they struggle to win the approval of their parents, try to avoid unemployment and attempt to master the art of parenting. The film is has received funding from Medienboard Berlin-Brandenburg, the Federal Government Commissioner for Culture and the Media (BKM), the German Federal Film Board (FFA), the German Federal Film Fund (DFFF), Rotor Film, Berlin-Brandenburg Broadcasting (rbb) and ARTE. Filming will take place in Berlin and Babelsberg. DUBLIN MURDERS by Saul Dibb, Rebecca Gatward and John Hayes, co-producer: EAVE graduate Ed Guiney is now being filmed in Belfast and Dublin. The psychological-thriller series is set during the financial boom years when the Irish economy was known as the “Celtic Tiger”. Two detectives called Rob Reilly and Cassie Maddox are being tasked with investigating two mysterious murders. The victims are a talented young ballerina, who is found dead on an ancient stone altar, and a free-spirited woman, who is found stabbed in a roofless famine cottage. The story is based on Tana French’s bestselling books and has been adapted for the small screen by Sarah Phelps. Phelps and Saul Dibb will serve as executive producers, whilst Kate Harwood and Noemi Spanos will produce for Euston Films (UK), Peter Jaysen and Alan Gasmer for Veritas Entertainment (UK), Elizabeth Kilgarriff for the BBC and Ed Guiney for Element Pictures (Ireland). The eight-episode TV series has been commissioned by the BBC and has been supported by Northern Ireland Screen. ALL MEN BECOME BROTHERS by Robert Kirchhoff, co-producer: EAVE graduate Jiri Konecny is in production. Alexander Dubcek, leader of the Prague Spring 1968 and chairman of the Parliament after the Velvet Revolution is regarded as a humanist politician and is celebrated for his programme of “Socialism with a human face”. However, he tends to be mythologised and his death in a car crash has fuelled many conspiracy theories. “This documentary is addressing the way we relate to our recent history. It is not a classical biopic. The view on one person should be a broader view, ‘a mirror image’ of an era before and after 1989, Czechoslovakia and the world as a small history of big politics seen through the story of an icon of Socialism with a human face,” says an official statement of the film. ALL MEN BECOME BROTHERS is produced by Kirchhoff’s Atelier.doc and coproduced by Czech endorfilm, Slovak Plaftik, the Slovak national broadcaster RTVS and the Czech Television, with the support of the Slovak Audiovisual Fund, the Czech Film Fund and the MEDIA Programme. The documentary is currently entering the second phase of shooting and should be finished by the end of 2019. STRAHINJA by Stefan Arsenijevic, producer: EAVE graduate and Serbian National Coordinator Miroslav Mogorovic, co-producers EAVE graduates Gilles Chanial, Borislav Chouchkov is shooting. Strahinja is an athletic, impulsive and hard-working African young man from Mali. Three years ago, when the migrant crisis started, he left Africa with his wife Ababuo. Seeking a better life, they managed to make it to Germany but were deported back to Belgrade. Serbia might not be Germany but to Strahinja it’s a decent country, where he can settle and start a new life. A football player on trial for a local club, a volunteer for the Red Cross, Strahinja stacks all the odds in his favor. Thanks to his efforts, he is convinced that they will get asylum, but the process is long. STRAHINJA is being produced by Belgrade-based Art & Popcorn and co-produced by France’s Surprise Alley, Luxembourg’s Les Films Fauves and Bulgaria’s Chouchkov Brothers. The film has been supported by Film Center Serbia, as well as by France’s CNC, Film Fund Luxembourg, the Bulgarian National Film Center and Eurimages. Shooting wraps in December. The film is being shot on location in Belgrade and surrounding areas. AND THEY STILL MAY BE ALIVE TODAY by Tudor Cristian Jurgiu, producers: EAVE graduates Bogdan Craciun and Konstantina Stavrianou is in post-production. The screenplay follows Clara and Vlad, two lonely 30-somethings who start a relationship by pretending to be in love in the hope that they will actually fall in love. The story explores how the two characters develop at completely different paces in their fake relationship, moving from loneliness to anxiety, from passion to depression and slowly discovering what love is (or isn’t) and whether the powerful feeling is really possible between them. The feature is a co-production between Romania’s Libra Film Productions, represented by Tudor Giurgiu and Bogdan Cr?ciun, and Greece’s Graal S.A., represented by Konstantina Stavrianou. The Romanian National Film Centre and the Greek Film Centre supported the feature. Shooting started at the beginning of November and recently wrapped up with Bucharest. EAVE project SOLE by Carlo Sironi, producers: EAVE graduates Giovanni Pompili and Agnieszka Wasiak is in post-production. The plot: Ermanno spends his days at the slot machines, waiting for a change. One day, Lena turns up in Italy, wanting to sell her baby and start a new life. The two of them pretend to be a couple in order to allow Ermanno's uncle and his wife, who cannot have children, to get custody of the child quickly, via the relatives adoption route. Sole, however, is premature, and needs to be breastfed, and although Lena tries to reject her link with her daughter, Ermanno begins to take care of her as if she were his own. The film is a co-production between Italy and Poland, produced by Kino Produzioni and Lava Films, in collaboration with RAI Cinema. The film has received support from MiBAC, Eurimages, Lazio Cinema International and the Polish Film Institute, as well as a development fund from IDM Südtirol - Alto Adige Film Fund & Commission. During its development phase, SOLE was selected for Résidence de la Cinéfondation at Cannes, the Script Station at the Berlinale, the Sundance Mediterranean Lab and the TorinoFilmLab, where it won the Production Award last year. Filming lasted six weeks and took place in Rome and Nettuno. PELIKANBLUT, written and directed by Katrin Gebbe, producer: EAVE graduate Verena Gräfe-Höft is in post-production. The emotional drama tracing the relationship between a mother and her adoptive daughter is produced by Junafilm, Campfilm, Miramarfilm. Funded by Filmfund Hamburg Schleswig Holstein, SWR / Arte, Torino FeatureLab, Berlinale Coproduction Market. EAVE project THE DIARY OF DIANA B. by Dana Budisavljevic, producer: EAVE graduate Miljenka Cogelja is in post-production. Synopsis: Fifteen years ago, atop a box containing worn-out children’s clothes, a diary of an extraordinary woman was discovered – a wartime testimony of a charity taking at that time probably incredible proportions. On a cold winter day, in February 1942, Diana Budisavljevi? decided to do something for the thousands of children who were dying in Ustaše camps every day from hunger, sickness and cold. She launched an action that saved 12,000 children by 1945 and took careful records of all the information available so that the children could safely return to their families once the war was over. EAVE graduate Besnik Krapi was appointed Prishtina Film FORUM director. The film producer and actor from Kosovo has been chosen by Prishtina International Film Festival to lead PriFest’s regional film industry platform – Prishtina Film FORUM. EAVE 2017 graduate Besnik Krapi is one of the most up and coming producers in Kosovo. In 2010 he established his own film production company Circle Production producing short films and documentaries and he just finished his first feature film, FIELD OF BLACKBIRDS, (a Kosovo – UK – Albania Coproduction). He is presently developing his second feature film, LOOKING FOR VENERA by Norika Sefa. Besnik has worked on many co-productions in the region and abroad. EAVE graduate Helge Albers has been appointed director of the regional Film Fund Filmförderung Hamburg Schleswig-Holstein. Helge Albers is currently working as CEO and producer at achtung panda! Media GmbH that focuses on co-operations with China. He is head of Verband Deutscher Filmproduzenten. In 2015 his short film AVE MARIA was nominated for an Oscar. In 2016 his production ABOVE and BELOW won a LOLA for Best Documentary. Five nominations for THE FAVOURITE by Yorgos Lanthimos, producer: EAVE graduate Ed Guiney at the Golden Globes: Best Motion Picture – Musical or Comedy, Best Actress in a Motion Picture – Musical or Comedy for Olivia Colman, Best Actress in a Supporting Role for Emma Stone and Rachel Weisz, and Best Screenplay for Deborah Davis and Tony McNamara. ROMA by Alfonso Cuarón, producer: PUENTES graduate Nicolas Celis Lopez has three nominations – Best Director, Best Screenplay, Best Foreign Language Picture. CAPERNAUM by Nadine Labaki, co-produced by EAVE graduate Pierre Sarraf are also in the race for Best Foreign Language Picture. The European Film Promotion (EFP) announced the European Shooting Stars 2019. Ten best up-and-coming acting talents from Europe will be presented at the Berlinale in February. AFRIKA, written, directed and produced by EAVE participant Maya Vitkova was selected for the Sundance January Screenwriter's Lab. THIS IS NOT A BURIAL, IT’S A RESURRECTION by Jeremiah Mosese, producers: EAVE graduate Cait Pansegrouw and EAVE participant Bongiwe Selane is among the three projects that will move on to the production phase of the 7th edition of the Biennale College-Cinema organized by La Biennale di Venezia. GIRL by Lukas Dhont, producers: EAVE graduates Arnold Heslenfeld, Laurette Schillings & Frans van Gestel won the European Discovery - Prix Fipresci. LAZZARO FELICE by Alice Rohrwacher, producer: EAVE graduate Carlo Cresta-Dina won the European University Film Award. 3 DAYS IN QUIBERON by Emily Atef, producer: EAVE graduate Karsten Stöter, co-producers: EAVE graduates Undine Filter and EAVE group leader Danny Krausz won European Composer (Christoph M. Kaiser and Julian Maas). BORDER by Ali Abbasi, producer: EAVE graduate Nina Bisgaard won European Visual Effects Supervisor (Peter Hjorth). EAVE graduate Konstantinos Kontovrakis and Giorgos Karnavas received the EURIMAGES Co-Production Award – Prix Eurimages. Watch here the video of the award ceremony! WEREWOLF by Adrian Panek, producers: EAVE graduate Magdalena Kaminska and Agata Szymanska won the Ecumenical Jury Prize and the Audience Award. EAVE project A GIRL’S ROOM by Aino Suni, producer: EAVE participant Sébastien Aubert won the Eurimages Co-Production Development Award. THE OASIS OF NOW by Hamy Ramezan, producer: EAVE graduate Jussi Rantamäki won the Screen International Best Pitch Award. DOGS DON’T WEAR PANTS by J-P Valkeapää, producer: EAVE graduate and Finnish National Coordinator Aleksi Bardy, co-producers: EAVE graduate and Latvian National Coordinator Aija Berzina, B’EST graduate Alise Gelze was awarded the Baltic Event Works in Progress Award. SISTERS by Silje Salomonsen, Arild Østin Ommundsen, producer: EAVE graduate Gary Cranner International Works in Progress Baltic View Award. MAN OF DEEDS by Nicolae Constantin Tanase, producer: EAVE graduate Anamaria Antoci won the Global Screen Award. EAVE graduate Marianne Ostrat won the Cannes Marché du Film Producers’ Network Award (for Promising Young Producer with free accreditations to next year’s edition). THE FAVOURITE by Yorgos Lanthimos, producer: EAVE graduate Ed Guiney scooped a record of ten awards at the British Independent Film Awards in London. The film won Best Picture, Best Director, Best Actress, Best Supporting Actress and Best Screenplay – in addition to the five craft awards announced last month (Best Casting, Best Cinematography, Best Costume Design, Best Make-up and Hair Design, and Best Production Design). DISOBEDIENCE by Sebastion Lelio, producer: EAVE graduate Ed Guiney won Best Supporting Actor (Alessandro Nivola). ROMA by Alfonso Cuarón, producer: PUENTES graduate Nicolás Celis López, co-producer: EAVE graduate Sandino Saravia Vinay was awarded Best International Independent Film. EAVE project BAD POEMS by Gabor Reisz, producers: EAVE graduates Estelle Robin You, Julia Berkes won three prizes, the Scuola Holden Award – Storytelling and Performing Arts for Best Script, the Avanti Award for Best Film and a Jury's Special Mention in the Official Competition. OUR STRUGGLES by Guillaume Senez, producer: EAVE graduate Isabelle Truc won the Audience Award and the Cipputi Award – Best Film about the Work World. HOMO BOTANICUS by Guillermo Quintero, producer: EAVE graduate Nicolas van Hemelryck was awarded Best Documentary. IL PRIMO MOTO DELL’IMMOBILE by Sebastiano d’Ayala Valva, producer: EAVE graduate Nicolas Lesoult received the Special Jury Prize for Italiana.doc. PITY by Babis Makridis, producer: EAVE graduate Amanda Livanou won the FIPRESCI Award. HER JOB by Nikos Labôt, producer: EAVE graduate Maria Drandaki, Milan Stojanovic won the Special Jury Prize and the Critic’s Award. POUR VIVRE HEUREUX by Salima Sarah Glamine & Dimitri Linder, producers: EAVE graduates Valérie Bournonville and Donato Rotunno won the Audience Award. SOFIA by Meryem Benm'Barek, co-producer: EAVE graduate Jacques-Henri Bronckart received the Special Jury Prize. A LAND IMAGINED by Siew Hua Yeo, producer EAVE graduate Fran Borgia, co-producers: EAVE graduates Jean-Laurent Csinidis and Denis Vaslin won Best Film. CAPERNAUM by Nadine Labaki, co-produced by EAVE graduate Pierre Sarraf won the Brisbane Asian Pacific Screen Award (APSA) for Achievement in Directing. MANTA RAY Phuttiphong Aroonpheng, producer: EAVE graduate Philippe Avril won the Silver Pyramid, Special Jury Prize for Best Director. DONBASS by Sergej Loznitsa, producer: EAVE graduate Heino Deckert, co-producers: EAVE graduates Marianne Dumoulin, Jacques Bidou won the Silver Pyramid, Special Jury Prize for Best Director. EAVE project BIRDS OF PASSAGE by Ciro Guerra, Cristina Gallego, producer: EAVE graduate Katrin Pors, co-producers: EAVE graduates Dan Wechsler, Nicolas Celis, Sandino Saravia Vinay, TTB graduate Mikkel Jersin won the Naguib Mahfouz Prize for Best Script. ÁGA by Milko Lazarov, producer: EAVE graduate Guillaume de Seille received the Shadi Abdel Salam Prize for Best Film. I DO NOT CARE IF WE GO DOWN IN HISTORY AS BARBARIANS by Radu Jude, producers: EAVE graduate and Romanian National Coordinator Ada Solomon and EAVE graduates Jiri Konecny, Jonas Dornbach won Best Directing and the Award for Best Art Direction (Iuliana Vilsan). GAME GIRLS by Alina Skrzeszewska, producer: EAVE graduate Jean-Laurent Csindis won Best Feature Film Directed by a Woman within the Competitive Sections. THE FAVOURITE by Yorgos Lanthimos, producer: EAVE graduate Ed Guiney was awarded Best Actress (Olivia Colman). TOO LATE TO DIE YOUNG by Dominga Sotomayer, co-producer: EAVE graduate Stienette Bosklopper ex aequo won Best Directing, as well as Best Cinematography (Inti Briones). GIRL by Lukas Dhont, producers: EAVE graduates Arnold Heslenfeld, Laurette Schillings & Frans van Gestel won the EU Human Rights in Film Award. ROMA by Alfonso Cuarón, producer: PUENTES graduate Nicolás Celis López, co-producer: EAVE graduate Sandino Saravia Vinay was awarded Best Cinematography by the New York Film Critics Circle. THE CALL by EAVE graduate Anca Damian won the Jury Special Award CINANIMA 2018 (Portugal). EAVE Marketing project WHITE ON WHITE by Theo Court, producer: PUENTES graduates Giancarlo Nasi and Eva Chillon wins Eurimages Lab Project Award. SYSTEM CRASHER by Nora Fingscheidt, producer: TTB group leader Jonas Weydemann wins TitraFilm Award. THE BOOKSHOP by Isabel Coixet, producer: PUENTES graduate Jamila Wenske. December 19. THE HAPPY PRINCE by Rupert Everett, producer: EAVE graduate Sébastien Delloye. December 19. BRAGUINO by Clément Cogitore, producer: EAVE graduate Cédric Bonin, co-producer: EAVE graduate Kaarle Aho. December 5. POUR VIVRE HEUREUX by Salima Sarah Glamine & Dimitri Linder, producers: EAVE graduates Valérie Bournonville, Donato Rotunno. December 5. MARY SHELLEY by Haifaa Al-Mansour, co-producer: EAVE graduate and National Coordinator Luxembourg David Grumbach. December 5. ROMA by Alfonso Cuarón, producer: PUENTES graduate Nicolás Celis López. December 12. TEATRO DE GUERRA by Lola Arias, producers: EAVE graduates Gema Juarez Allen, Ingmar Trost. December 4. ETHER by Krzysztof Zanussi, co-producer: EAVE graduate Olena Fetisova. December 8. ROMA by Alfonso Cuarón, producer: PUENTES graduate Nicolás Celis López, co-producer: EAVE graduate Sandino Saravia Vinay. December 6. ÁGA by Milko Lazarov, producer: EAVE graduate Guillaume de Seille. December 14. MELLOW MUD by Renars Vimba, producer: B’EST graduate Alise Gelze. December 13. MARY SHELLEY by Haifaa Al-Mansour, co-producer: EAVE graduate and National Coordinator Luxembourg David Grumbach. December 27. CAPERNAUM by Nadine Labaki, co-produced by EAVE graduate Pierre Sarraf. December 25. LAZZARO FELICE by Alice Rohrwacher, producer: EAVE graduate Carlo Cresta-Dina. December 21. EAVE project BAD POEMS by Gabor Reisz, producers: EAVE graduates Estelle Robin You, Julia Berkes. December 27. Within the scope of the partnership with Flanders Image, Flemish Work in Progress RAIN ANYWAY by Gust Van den Berghe, producer: EAVE graduate Tomas Leyers, co-producers: EAVE graduates Gilles Chanial and Leontine Petit, already attached to sales agents, will be screened during the session, out of competition. Kosovo Cinematography Center in partnership with EAVE is organizing a four-day long Development Workshop in Prishtina for producers and writers of 9 selected fiction projects with international co-production potential. The aim of this workshop is script development and to improve the participants’ (co-)production skills, providing them with the necessary tools to succeed in the international market. The workshop features high-level experts and will combine EAVE’s experience in training and creating international network with a tailor-made approach to Kosovar producers and each project’s specific needs. PUENTES Europe/Latin America Co-Production Workshop headed to Montevideo for the second workshop of this year’s edition (Dec 5 - 9). The 14 selected participants (complete list below) met again to work on each other’s projects under the guidance of the two group leaders Jean des Forêts (Petit Film, FR) and Fernando Epstein (Mutante Cine, UY). The experts included Jacques Akchoti (Script Consultant, FR), Linda Beath (Ideal Filmworks Italia, IT), and Aranka Matits (Featurette, DE). Veteran indie producer Jim Stark (Icicle Films, USA), talked about the role of the independent producer; Gaël Nouaille (Borsalino, FR) shared his experience with distribution in Latin America and the newly appointed Head of the Directors’ Fortnight in Cannes Paolo Moretti (La-Roche-Sur-Yon International Film Festival, FR) gave a session entitled festival insights. Aside from the plenary sessions, daily group work sessions built the core of PUENTES. In parallel to the workshop, local producers from Uruguay attended PUENTES Uruguay sessions and had the opportunity to network with the PUENTES participants during the common plenary and networking events. Thanks to a special cooperation with Marché du Film – Festival de Cannes, all PUENTES & PUENTES Uruguay participants were able to attend VENTANA SUR (Dec 10 -15) in Buenos Aires after the workshop. Following the success of the 2018 festival, with more than 55,000 spectators and 2,000 professionals coming from 40 countries, SERIES MANIA returns to Lille, France, from March 22 to 30, 2019. For 9 days, SERIES MANIA will once again celebrate the best new international series. Take part to one of the most dynamic series events in Europe: submit your series and get a chance to enter one of its prestigious selections. SERIES MANIA selects series in different stages of their development. Upcoming series can be selected at SERIES MANIA in the Official Competition, International Panorama, All-Night Comedy Marathon, Best of USA, French Competition and Short Forms Competition – deadline for submissions: January 20, 2019. Projects in development can be showcased during the 3-day SERIES MANIA FORUM, from March 25 to 27, and pitched to potential buyers and financiers – deadline for submissions: January 9, 2019. UGC Writers Campus by Series Mania is organised within SERIES MANIA FORUM, the professional arm of SERIES MANIA. Next edition: March 25 to 27, 2019 in Lille Grand Palais. For the next three years, UGC will sponsor this English-language, high-quality and immersive writing workshop for 20 emerging TV drama writers throughout Europe: participants will experience an intensive week surrounded by the best authors, taking place along Series Mania. The event is organised under the editorial supervision of Lorraine Sullivan, the first edition of UGC Writers Campus, in partnership with Paris College of Art (France) and the SACD. After a successful wrap of the 10th anniversary edition of TTB in Singapore, the call for applications for the next edition of TIES THAT BIND – Asia / Europe Co-Production Workshop in 2019 is now open until January 31, 2019. We are now also open to TV series or animation fiction films in development, in addition to feature fiction films. We also welcome applications of other European professionals interested in working with Asia (sales agents, financiers, distributors, festival programmers, co-production market representatives) or European producers without project. 5 of them will be selected to be an active part of the group. In order to benefit from all aspects of the programme, they will be able to pair with a participant with a project and attend the meetings with the experts and decision makers together. Workshop 1 will take place from April 29 – May 3, 2019 within the framework of the Udine Far East Film Festival (April 26 – May 4, 2019) in Italy. Workshop 2 will be organised at the end of November/beginning of December 2019 in Singapore during the Southeast Asian Film Financing (SAFF) Forum in partnership with the Southeast Asian Audio-Visual Association (SAAVA). TIES THAT BIND is the leading training programme for European-Asian co-production. The participants will work with top-notch industry professionals from both continents. The sessions will focus on script development, co-production between Asia and Europe, public and private financing in the two regions, marketing and distribution, and the legal aspects of co-production. They will meet leading Asian and European sales agents, funders and potential co-producers during the FOCUS ASIA All Genres Project Market in Udine and the Southeast Asian Film Financing (SAFF) Forum in Singapore. “The TIES THAT BIND workshop imbibes the characteristics we look for in a good producer: grounded and inspiring. I would definitely recommend this to active producers who want to step up their game. I realized that TTB’s effect is bigger than just my personal gain. Every year, it has trained active producers in Asia and Europe; creating ripples in our respective countries as we apply the things we’ve learned.”. The selection will be made by a selection committee and will be announced by the end of March 2019. PUENTES Europe/Latin America Co-Production Workshop heads to Montevideo for the second workshop of this year’s edition (Dec 5 - 9). The 14 selected participants (complete list below) will meet again to work on each other’s projects under the guidance of the two group leaders Jean des Forêts (Petit Film, FR) and Fernando Epstein (Mutante Cine, UY). The experts will include Jacques Akchoti (Script Consultant, FR), Linda Beath (Ideal Filmworks Italia, IT), and Aranka Matits (Featurette, DE). Veteran indie producer Jim Stark (Icicle Films, USA),will talk about the role of the independent producer; Gaël Nouaille (Borsalino, FR) will share his experience with distribution in Latin America and the newly appointed Head of the Directors’ Fortnight in Cannes Paolo Moretti (La-Roche-Sur-Yon International Film Festival, FR) will give a session entitled festival insights. Aside from the plenary sessions, daily group work sessions will be the core of PUENTES. In parallel to the workshop, local producers from Uruguay will attend PUENTES Uruguay sessions and have the opportunity to network with the PUENTES participants during the common plenary and networking events. Thanks to a special cooperation with Marché du Film – Festival de Cannes, all PUENTES & PUENTES Uruguay participants will be able to attend VENTANA SUR (Dec 10 -15) in Buenos Aires after the workshop. PUENTES project AMAZONA, directed by Clare Weiskopf & produced by Nicolas Van Hemelryck (casaTARANTULA, Colombia) has just won Best Documentary, Best Editing and Best Music at Colombia’s 2018 Macondo Academy Awards. Market screenings will take place at Ventana Sur. PUENTES project I DREAM IN ANOTHER LANGUAGE (SUEÑO EN OTRO IDIOMA), directed by Ernesto Contreras & produced by Agencia SHA (Mexico) & Alebrije Cine y Video (Mexico) & Raymond van der Kaaij (Revolver, The Netherlands) has won Best Picture & Best Original Screenplay & Best Cinematography & Best Original Score & Best Sound & Best Actor at Mexico's 60th Ariel Awards 2018. PUENTES project: THE HEIRESSES (LAS HEREDERAS), directed by Marcelo Martinessi & produced by Sebastian Peña Escobar (La Babosa Cine, Paraguay) & developed by PUENTES participant Karen Fraenkel (Mira, Paraguay) has won Silver Bear Alfred Bauer Prize & Silver Bear Best Actress & FIPRESCI Award & Teddy Readers’ Award at the Berlinale 2018 as well as the Premio Netflix Ópera Prima and Best Director at Latin America Fénix Film Awards 2018. The film has been nominated to represent Paraguay at Foreign Language Academy Awards race. PUENTES project UN TRADUCTOR (UN TRADUCTOR), directed by Sebastián & Rodrigo Barriuso & produced by Sebastián Barriuso (Creative Artisans Media, Canada) & Lindsay Gossling (Involving Pictures, Canada) has premiered at the Sundance World Cinema Dramatic Competition 2018, San Francisco IFF, has won the Golden Globe for Best Director at Shanghai 2018. Market screenings will take place at VENTANA SUR. PUENTES project THE ACCUSED (ACUSADA), directed by Gonzalo Tobal & produced by Santiago Gallelli (Rei Cine, Argentina) & K&S Films and co-produced by Telefe and Piano has had its world premiere in Venice 2018, and was selected for Toronto and Busan IFF. PUENTES project THE SHARKS (LOS TIBURONES), directed by Lucía Garibaldi & produced by Pancho Magnou Arnábal and Isabel García has been selected to Sundance World Cinema Dramatic Competition. PUENTES is organized by EAVE in partnership with MiBACT, Mutante Cine, FVG Audiovisual Fund, Ventana Sur, and with the support of Creative Europe – MEDIA sub-programme of the European Union.